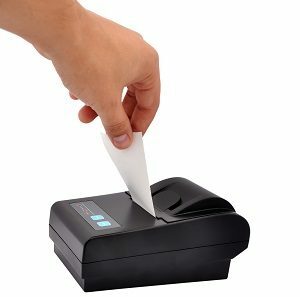 “Transfer” printers: the small, hand-held variety used to dispense credit card and other receipts. Thermal coatings are now being made more stable because of the various commercial and scientific applications for the printers; for example, ultrasound scans are printed on thermal paper. Before buying this model you should look into how long printouts are likely to last under the conditions you plan to operate under. “Direct” printers: print in monochrome or colour according to application. They may be integrated into EPoS systems and manufacturers’ software will enable editing to add logos, contact details, graphics, barcodes, etc. Thermal paper is also utilised in these devices, so you should also enquire about the stability of paper products when choosing among them. Many manufacturers offer these devices. Some of the more well-known brands include Brother, Citizen, Datamax, Epson, Samsung, TEC, and Zebra. Thermal printers have several commercial and business applications. They are most commonly used in restaurants and bars where receipts are printed at tableside. They serve to print barcode labels or to add colours to tickets and other documents. Because they are lightweight and mobile-capable, they are used wherever tickets and proof-of-purchase are needed on the spot. Their mobility also makes them highly useful at trade fairs, markets, and exhibitions – locations where professional users may wish to quickly affix marketing messages or logos to tickets, receipts, or labels in order to get their message across without resorting to costly marketing tools. Adding your website URL to a label or receipt may help drive customers to your site and boost business. They may also serve to print an image of your latest product offering on the reverse of receipts for a quick-fix marketing tactic.